The Office of Research and Sponsored Projects Operations (ORSPO) offers several opportunities and resources for faculty and students to find funding for their research and research related endeavors. The ORSPO routes external funding proposals for internal approval, manages internal awards for faculty and student researchers, and assists with external funding searches. During the past year, the offices of Research and Graduate Studies, Grants Accounting, and Foundation, Corporate, and Government Relations have been working to develop resources to support transparent and efficient management of external funding. The result of these efforts is the new Sponsored Projects Handbook. 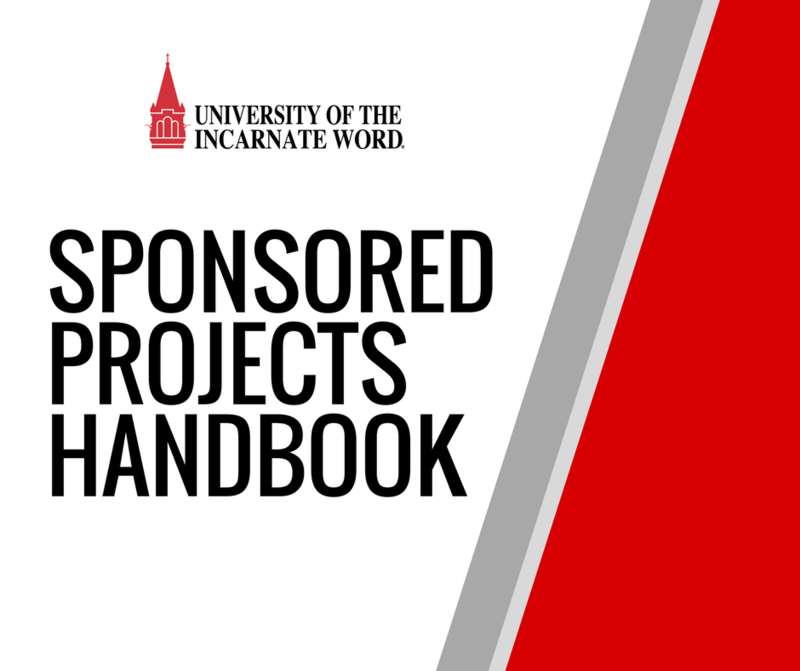 The handbook provides a guide to the management of sponsored projects at the University of the Incarnate Word, and to the policies and procedures which ensure that externally funded projects comply with federal regulations and institutional protocols.